Social star and actress who starred in the film When Love Begins with Aga Muhlach. Her other credits include Anna Karenina and Babe, I Love You. She is extremely popular on Instagram with over 11 million followers. She played a princess in Magic Kingdom in 1997. She played Angela on the TV show Green Rose. She has a sister named Jasmine. 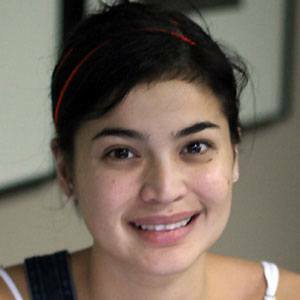 She dated foodcentric vlogger Erwan Heussaff and the two married in November 2017. She starred alongside Jericho Rosales on Green Rose.